Littlefish’s User Education and Awareness service delivers an ongoing cyber security education and testing programme that transforms your users into the most effective threat detection tool at your disposal. Users are central to the vast majority of successful cyber-attacks. Someone who either knowingly, or inadvertently compromises your security, opening the door to a would-be attacker. They therefore play a critical role in your organisation’s security. Your security policy and technologies must enable your users to carry out their jobs effectively, whilst contributing to a secure environment. A regular, concise and engaging user security awareness programme supports your policy and technical measures, by delivering security knowledge and engendering a security conscious culture within your organisation. Providing security education during new employee inductions supported by annual refreshers, is an approach no longer fit for purpose: users continue to click on harmful links, enter credentials and open malicious attachments. The most effective approach to cyber security education is providing sharp, focused and relevant information to your users. Littlefish User Security Education and Awareness provides this content directly to your users on a monthly basis, through engaging design and content that brings the latest threats to life. Adaptable to focus on industry-specific threats or align with your internal security policies if required, this holistic service provides a managed and measurable ongoing awareness programme, transforming your users from a potential weakness into the most effective threat detection tool at your disposal. 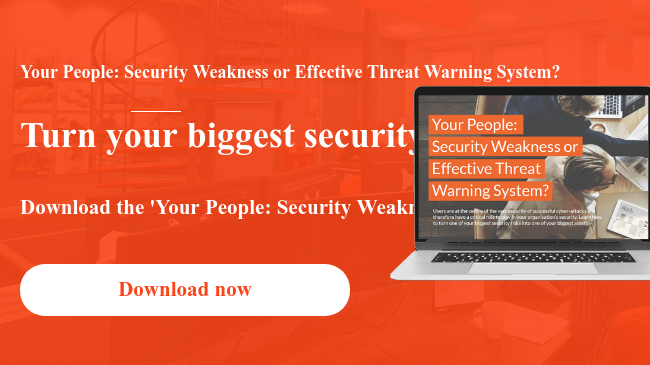 Improves organisational cyber security awareness and strengthens the most important security control currently available to you: your people. Engaging awareness material is delivered to your users, covering the latest security topics including social engineering, physical security, ransomware, phishing and GDPR/data protection. Simulated attacks using the latest real-world techniques, test your users’ ability to detect phishing attempts – ‘victims’ receive reinforcement videos.